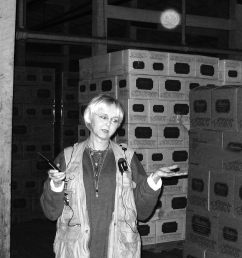 Patti Starr, author of Ghosthunting Kentucky, investigates the Buffalo Trace Distillery. Join her on her adventure! 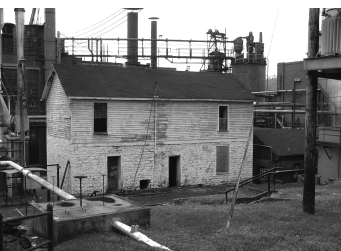 When I first got the call from Theresa, a former employee at Buffalo Trace, inviting us to investigate the distillery, I remembered that I had a student, Bobbie Vereeke, whose husband also worked there. 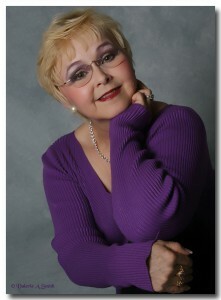 Bobbie told me that her husband knew about the ghosts that haunt several of the buildings on the property. While she was a student in my ghosthunter course, Bobbie shared with me her unusual talent for automatic writing, in which a spirit takes control of her hand and writes out messages. I knew she would be a great asset to the investigation because she used that method to communicate with the spirits. I organized a group of 40 ghosthunters from my organization to investigate the distillery. When we arrived on the property, we drove through the entrance into a beautiful, natural, and rustic setting. It wasn’t hard to imagine herds of buffalos grazing along the traces that lay before us as we circled around to the back of the original main house to the company parking lot below. When we met our tour guide, she asked us if we wanted to know the history first or did we want to wait until after the investigation. I like to go into an investigation without being briefed about the place beforehand so that if a name or event is revealed to us, we will not be influenced by it until it is later validated through reliable sources. We opted not to get the history until after our investigation and went forth with our ghosthunt. 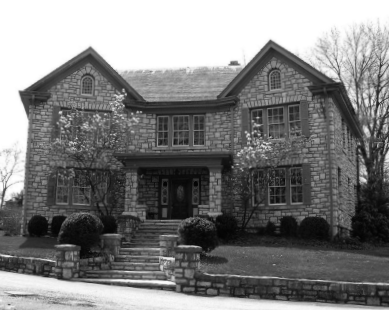 The guide led us up to the main house, called Stony Point Mansion, because that was where so many of the employees had experienced unexplainable and illogical activity. With our cameras, camcorders, audio recorders, and EMF meters in hand, we started our investigation, moving down the hall towards the back of the house. My EMF meter started to register a disturbance by beeping and flashing a red light. I wanted to electric dowse with the EMF meter, so I asked the invisible entity to stop making the meter go off by backing away. The meter came to an abrupt stop. I thanked the spirit and asked it if it would answer my questions by making the meter beep for “yes” and remain quiet for “no.” It beeped once to agree. This is a method I call electric dowsing. The tour guide was delighted to see this result. I asked if the spirit was a female, and the meter remained silent. We left the basement and headed for another building, known as the Riverside house, opposite the boiler room. This house was built in 1792 and is the oldest recorded building still standing in Franklin County. The house is being renovated, but, at the time of our investigation, it was in a deteriorated condition. We were not allowed to go inside for fear of injury, so we stood at the doorway and took pictures of the shabby structure’s interior. As we backed away from the house, I looked up and saw a face looking down at us from the second floor. I pointed my camera and took a shot but was not able to capture the face in the photo. Another member of my group took a shot and got a faint outline that appeared to be someone looking back at us. It was a good piece of evidence in the camera, but it just didn’t show up once we printed it out on paper. It has been more than eight years since I did that investigation at Buffalo Trace, so I thought I would call to see if any of the employees were still experiencing any ghostly activity. After introducing myself and explaining the reason for my call, I was routed to Angela Traver, the public relations manager. Angela was attentive; once I asked her if she had experienced any type of paranormal activity, she was gracious enough to share her story with me. On the last leg of our investigation, we entered the Buffalo Trace Gift Shop. The sales staff gathered around to tell us about the weird experiences they had had while working in the shop. Most of them agreed that the most common occurrence was the sound of footsteps above the gift shop. It sounded as if three or four men were walking around wearing heavy boots. The area above the shop was a storage space. No one was assigned to that area unless they were adding more items to storage. Sometimes, the employees would hear the sounds of objects being dragged across the floor. They said that sometimes it sounded as if the items in storage were being rearranged, even though there was no one on the second floor at that time. Our group was anxious to get started upstairs. As we ascended the stairs, we were met with a blanket of hot, still air that took my breath away. It was roasting up there. I didn’t know how long we could last in such heat, so we started immediately gathering evidence. Bobbie held her notebook in her hand, and I took pictures as I recorded my requests of the spirits to speak. My husband, Chuck, took a picture of me just as I asked the spirits to come to me, and he captured the image of a spirit orb hovering over me. I glanced over at Bobbie and saw that she was starting to write. I went over to where she was standing and looked over her shoulder to see what information she was getting. It was hard to make out some of the words, but she later translated them for us. This is what she wrote: “Must be careful here. We know that it is hot, but you need to spend time . . . .” and the message stopped. Then it started back up again: “Four of us are here for work. The big man came to see us daily. He wants to make sure things are done right.” There was another break in the writing and then she continued again: “John, Amos, Fred, and Ralph.” Another pause: “There are secrets in this building. You can find them, but you must look carefully. I found them long ago and protected them. The stone walls are built to hide . . . .” There, the communication stopped. By this time most of us were about to pass out from the heat. I knew it would not be good for any of us to remain there any longer, so we concluded our investigation and returned to the gift shop below. It was a super experience for all of us. The best part was hearing all the stories and experiences of the employees that helped validate the data that we collected while investigating the distillery. Colonel Blanton passed away in 1959, after spending more than 55 years doing what he loved best, in the home he loved the most. During his time at the distillery, he went from being office boy to company president, and he was credited with preserving and enhancing one of Kentucky’s historic landmarks. It seems as though the Colonel has made Buffalo Trace Distillery a paranormal landmark as well.